Tired of traditional Banner Ads that don't generate more revenue? Ohh... I mean, now you are at the right place !! 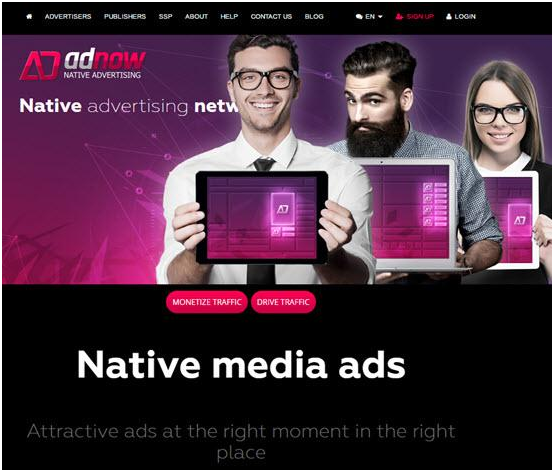 I will present you the Top 10 High Paying Native Ads Network and their detailed review in this article. You may have seen - Outbrain, Taboola Ads that match with the concurrent Contents. That are content matched native ads. The Native Ads can be referred as the paid articles used as promotions by content marketers. These ads are displayed as "in-feed, " and mostly they are non-disruptive. With this in mind - most of the time, they come as related stories, related posts, suggested posts. Usually, native Ads are those articles that are related to your site containing a headline and image. You may term them as Pay Per Click Ads, similar to Adsense, and they mostly look same as a part of the Ad serving website. To put it another way, those Native Ad Networks function as just like another type of Advertising Network that connects the publishers with advertisers in a chain-system. Gone are the days, when only Adsense was there, now it has become a dominant trend in making some extra bucks from your site using Native Advertisements. To clarify, those Native Ads can be served or displayed within your existing blog post, in the sidebar of your Blog, and much more. Yes, native ads get high CTR as they don't look like regular disturbing banner and link ads. To sum up, let's dive into my in-depth review of some Best Native Advertising Networks. In the long run, Outbrain started as the world's first Native Ads Provider, in 2006. It’s a content discovery platform that offers businesses and brands to reach out to a broader audience. And, this helps to increase their brand exposure and daily web traffic by displaying their Content across the big media sites like Ney York Post, The Daily Telegraph, CNN, ESPN, Fortune, Atlantic Media, Time and more. Also, they have an extensive network of small publishers. 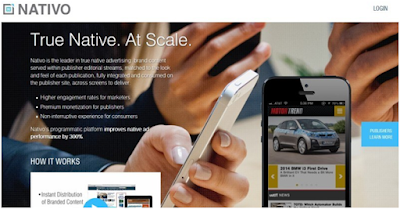 Revcontent is a fast growing native ad network that is currently serving around 250 Billion native ads per month. Reportedly it has more users reach than Amazon. It provides fully responsive widgets, and you get multiple placement options inside the publisher’s website. 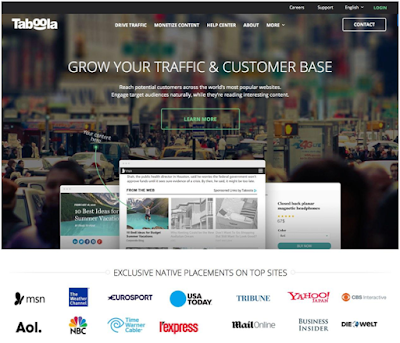 Generally speaking, being a direct competitor of Outbrain, Taboola is a content marketing network and one of the best famous native ads network that shows - “content you may like” type widgets to publishers as well as their visitors including video, image, slideshows. Taboola has BBC, USA Today, Mail Online, TMZ, Business Insider, NBC News, Chicago Tribune, and Boston Globe as their biggest publishers. MGID is a highly recommended and hugely adopted Native Ads Network. It started its operations since 2008. With MGID, you get a massive chance of publishing your ads over 3000 different lifestyle and several entertainment websites. AdNow has been in the Native Ads business since 2014. Currently, It holds over 190k partners and serves the ads over 4 billion impressions to 900 million user base worldwide, per month. 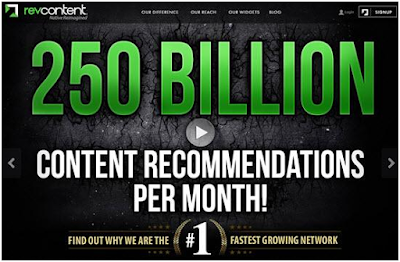 Keep in mind -this is the best network to make the most from ad serving revenue. You start getting payouts with $20, received weekly via Paypal or Wire. 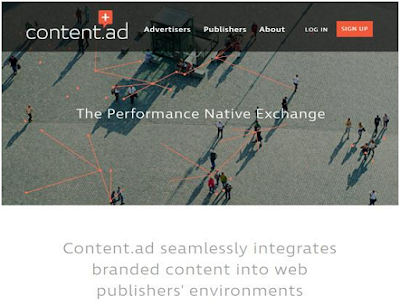 Content.ad is another top-rated native advertising network. It has an extensive network of quality publishers and advertisers. It is popularly serving over a 20 Billion page views mark on a monthly basis. You get instant approval with this network. The platform Nativo allows you, (publishers and advertisers both) to fully optimise their scalability, sizes, appearance type of the ads. Altogether, it has connected with more than 300 brands and 350 publishers over Nativo’s platform to boost-up their next-gen advertising formula. It displays the content in-feed. This means the visitor can Watch the sponsored content without needing to leave the publishers website or ad serving page. Earnify operates as a CPA revenue model. It has a pre-review process for sites before giving them approvals. You can withdraw the payment using Payoneer, having a minimum payout threshold of $20. 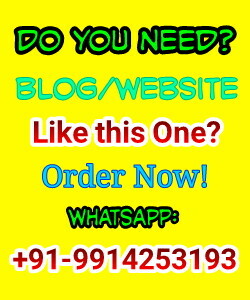 Mostly, it is highly-recommended for sites having high traffic. TripleLift currently serves over 400+ advertisers and 2300+ publishers. And, this ad network has advertisers as Microsoft, Nissan, GAP, JetBlue, AT&T Kraft, Land Rover, Campbell’s and publishers like Men’s Fitness, Atlantic Media, Conde Nast, Digg, USA Today, eHow, Hearst, and more. Being backed by the AOL Network, Gravity advertising network functions as one of the top-rated content sponsoring networks. It has developed a significant number of publishers such as Huffington Post, About.com, etc. You can choose this to leverage your ad exposure and presence more briefly. Message: I hope that you have enjoyed 'Top 10 Best Native Ad Networks That Pay High [Updated List 2019]' article on Tips2secure. However, if you want me to deliver more items, then please share my post. You can use Social Sharing Widget provided at the end of every post. After all, Sharing is Caring! Thanks for the share Suresh! Which of these ad networks is your favorite and which one do you use the most?